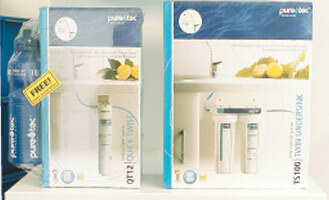 Complete range of Puratec domestic water filters available on request. Please contact our friendly staff for a delivery quote, or for assistance with any queries. If you have any queries, or need assistance in purchasing the pump or accessory best suited to your specific needs, please don’t hesitate to contact our experienced team, who will be happy to assist! Duraplas is the trusted name in the tank industry, having manufactured over 250,000 tanks since 1984. We manufacturer an impressive range of tanks, which are competitively priced, while offering the best design and inclusions in the industry. Combine this with the industry-leading service Duraplas is known for, and the decision is easy. Our experienced team look forward to assisting with your next tank.